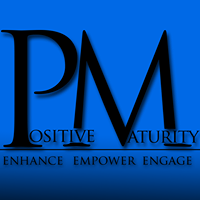 Positive Maturity, Inc. – United Way of Central Alabama, Inc.
Over the course of 40 years, the aging population has changed dramatically. Today’s adults (50+) are more educated, healthier, and working longer. They are caring for their parents, starting encore careers and giving back to their communities. Positive Maturity strives for Alabama’s aging community to remain independent and in their homes for as long as possible. To enhance the lives of mature adults through social services and civic engagement.